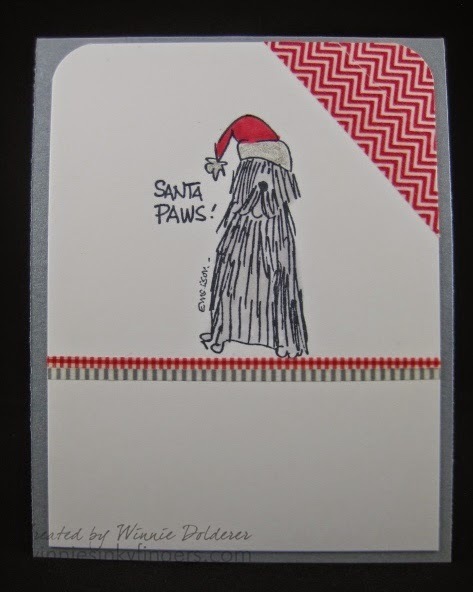 I was in need of a pair of Christmas cards for pet lovers. Luckily, I have a lot of stamps perfect for the occasion. 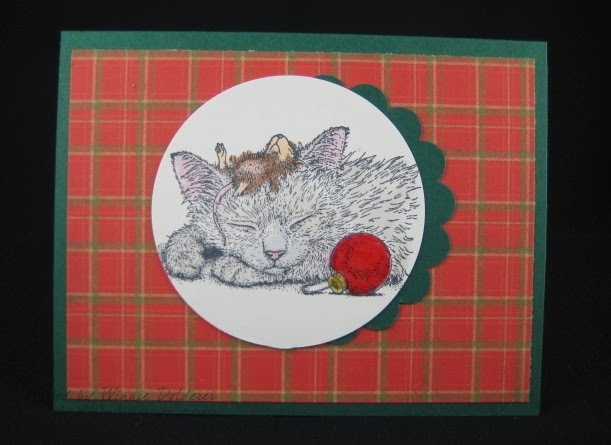 This first card I am sharing was made using a House Mouse stamp. Aren't they precious? I thought the use of the plaid paper and the touch of Glossy Accents on the Christmas ornament added to the holiday feel. For the dog lover, I decided to use a new stamp in my collection by Gourmet Rubber Stamps. I used various washi tapes and Wink of Stella for some shine on the hat. Do you have a pet? How do you include them in the holiday festivities? I used to have a cat named Emily. I had a special stocking made for her and she had treats under the tree each year. I remember waking up Christmas morning to find her sitting on her stocking smelling her goodies. Such good memories! So seeet! Love your cards! :) no pets for us right now....my son had ashma as a baby.....maybe someday though!!! I love the little dog card! We'll be away from our pup this year for Christmas, and I'm so sad that we won't get to dress him up like Santa on Christmas morning! These pet Christmas cards are darling!